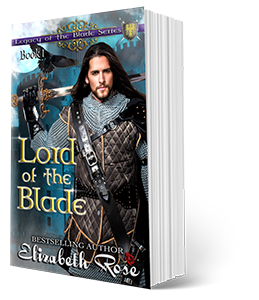 Lord Corbett Blake needs to find a worthy wife so he can clear the sullied family name. But three times now his brides have died before reaching the altar. Still, he knows he needs to find one fast, or the king will take away his lands and title. 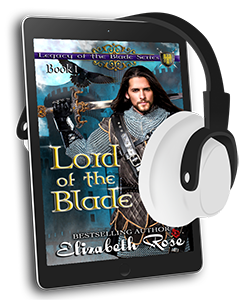 Devon has been raised in secret in the monastery, but now the lord of Blake Castle has found her and brought her to the castle as his servant. While she is intrigued with Corbett, she is also not used to being a servant and the things he expects her to do. Can a maid servant and a lord push aside their passion for each other and do what is expected of one of their status? Devon screamed and jumped to her feet, sending the smoked pork and stale crusts of bread tumbling from her lap to the floor. A short candle danced on a barrel of salted herring beside her, its jumping flame eating up what little was left of its tallow. Devon squinted her eyes, peering into the darkness, wondering whose body inhabited the voice. She found it hard to make out the dark form readily hidden in the shadows. “It is me. Devon,” she stammered, her body shaking slightly. 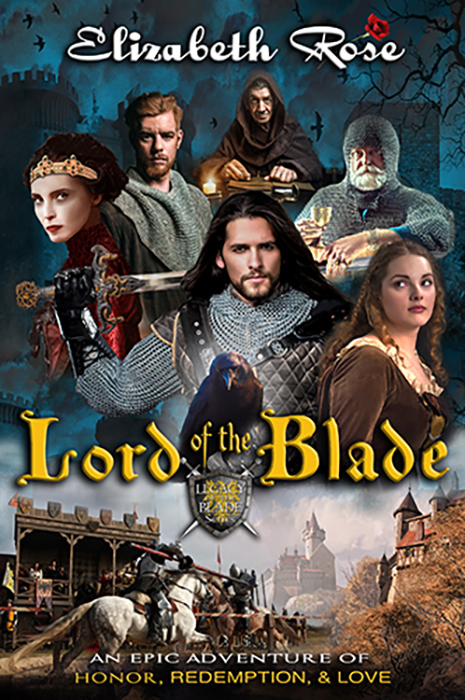 The man replaced his sword into his scabbard. Then he took a step forward which allowed the dim candlelight to hit his face. Devon gasped as she recognized Lord Corbett. “My lord. I . . . I . . .” She lowered her eyes to her dinner sprawled at her feet, and wondered what she could possibly say to remedy this situation. She’d defied the man thrice now, and he was sure not to take a liking to her. “I was hungry,” she told him. “I know I shouldn’t have entered but . . .” She bit her lip, almost hoping Corbett would stop her by interrupting. “But what?” He waited for her answer. She should apologize, but she couldn’t bring herself to do it. Life at the castle was not at all what she’d thought it would be. The harder she tried to understand it, the worse it got. She didn’t like this life of a servant. As she kneeled down to clean up the food, she hoped he wouldn’t notice the slight tear in her eye. Corbett’s hand rested upon hers and she found him kneeling across from her once again. The warmth of his touch penetrated her skin. What did he mean? She’d just told him she’d been hungry, but still he asked. Somehow she didn’t think he queried about her presence in the larder, but mayhap her presence in his life. With the edge of his thumb he traced the outline of her lips. She froze before she could answer, unable to speak. “Look at me,” he whispered. The musky essence of his body filled her senses. Wood smoke clung to his clothes and hair. She found herself obeying and looked into his eyes. At once, she was lost in the swirling, blue depths. She saw within them a need so strong it pained her. They seemed caring, daring, and if she didn’t know better, loving. But this couldn’t be true. He brushed the palm of his hand against her cheek, and a tingle climbed her spine. Her eyes closed involuntarily as his hand caressed her hair between his fingers. He tilted her chin up slightly, his eyes fastened on her lips. Years of anticipating and fantasizing about her first kiss could never compare to this. His lips were soft for a man with hard words, their warmth and sensuality intoxicating. 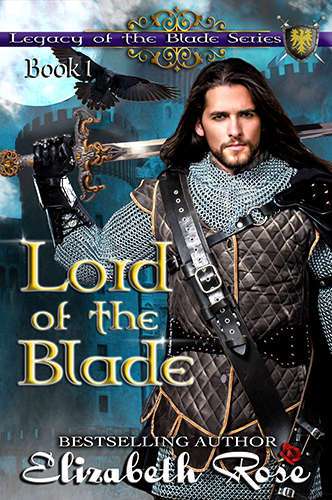 His touch was so gentle for a warrior who’d taken enemies down with a mere swipe of his sword. He pulled back slightly, his hand still on her chin. Their eyes met once again. She felt like the luckiest, most special girl in the world. “Why do you kiss me?” she asked, finding it curious that a man who could have any woman he wanted, would want to kiss her. He didn’t answer, but instead pressed his lips more firmly over hers this time, making a delightful shiver run through her. This kiss was forceful, a reminder of his status. His gentle lips were now filled with strength and power. It was an action that both frightened her and made her crave him more. The kiss lingered, and she found her body responding to his advances though her mind was telling her to retreat. His tongue shot out and parted her lips, and then thrust deep into her mouth. She was filled with a strange inner excitement, knowing part of him had entered her body. Her fingers ached to touch him, so she boldly slid her hands past his wide shoulders and around his neck. It was a mistake. She knew it as soon as she did it, but found herself unable to stop. Devon wickedly liked what he was doing to her. Her own curiosity begged him to continue. His open palms slid down her back and closed around her waist as he pulled her closer. This man was very experienced. She had heard many stories of the women he wooed from the kitchen help. She lacked experience in this field, and was sure it showed. Her own insecurity caused her to pull back, but his grip never slackened. Corbett had no intention of letting her go. To her horror, she realized she wanted to surrender. Not just a man but a lord had not only kissed her but started to caress her. Things were moving so fast, she dizzied in the process. His hands slipped down to squeeze her bottom, and she inhaled sharply. Desperately, she tried to catch her breath as her conscience reminded her she was nothing to this man. She was just another wench he could tumble in the night. Someone to warm his bed. She closed her eyes, blocking his handsome body from view, hoping it would make it easier to sway the temptations that were threatening to consume her virginity. This was wrong, her mind screamed, but her heart said differently. Devon found it hard to ignore the tingling throughout her being. She stiffened her back, hoping to make the feeling disappear. “You need not be scared,” he said in a whisper. Devon’s eyes popped open. He thought it was fear that had her stiffening her spine. Oh, if only he knew it was not fear but desire.